Finding the best homemade ant killer can be of critical importance when contending with an invasion. These invasions can occur throughout the year and seem to expand from year to year. 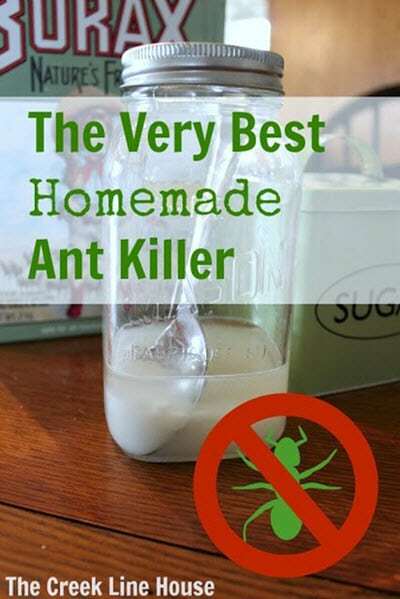 This simple remedy uses a handful of natural ingredients to create a trap that is tasty to ants and deadly when the ants return to the nest. The mixture is an all-natural alternative to the store-bought traps that use dangerous chemicals to deal with ant invasions. However, it is important to note that since the mixture is made with Borax, you will need to keep it away from children and pets. The author cleverly suggests using an old plastic container with holes poked into the lid to allow the ants in and a bit of sugar water to attract the ants. This will keep the ants marching but kids and dogs will be unable to access the mixture.